Susan Lindquist is a pioneer in the complex biology of protein folding and misfolding. She has demonstrated that the sensitivity of protein homeostasis to environmental stress provides a mechanism for coupling environmental change to the rapid evolution of new traits, affording transforming insights into the role of protein folding in evolution. Dr Lindquist was one of the first to initiate molecular analysis of the heat-shock response. Her group discovered the biochemical functions of Hsp90 and Hsp104 and has provided seminal advances in understanding the roles of chaperones and the heat-shock response in evolution. Her work in fruit flies, mustard plants and yeast established that Hsp90 pervasively influences the manner in which genotypes are read out into phenotypes by chaperoning the folding of key players in signal transduction pathways. This work provided the first explanation for the rapid evolution of complex traits in response to environmental stress. Dr Linquist's seminal work on the role of Hsp90 in folding mutant oncogenic kinases fueled the development of Hsp90-based therapeutics. She has also delineated the role of Heat-Shock-Factor 1 (HSF1), the master regulator of the heat-shock response, in facilitating malignant transformation, cancer cell survival, and proliferation in model systems. Her group identified an HSF1-regulated transcriptional program specific to highly malignant cells and distinct from heat shock. Cancer-specific genes in this program support oncogenic processes including cell-cycle regulation, signaling, metabolism, adhesion and translation in tumor cells themselves as well as associated stroma. Thus, HSF1 rewires the transcriptome in tumorigenesis, with far-reaching prognostic and therapeutic implications. Lindquist’s work on Hsp104 established the biochemical basis of protein-based inheritance in yeast. Her group identified prions in wild yeast and demonstrated that prions can be beneficial, acting as ‘bet-hedging’ devices that facilitate the adaptation of yeast to stressful environments. Her group has developed new platforms for dissecting the protein-folding problems that drive neurodegenerative diseases. These yeast-based model platforms enable genetic and chemical screening at a level of throughput not approachable in other organisms. Genes and compounds that rescue yeast also rescue dopaminergic neurons in nematode, fruit fly and rat primary midbrain cultures as well as cortical human neurons differentiated from the iPS cells of patients with Parkinson’s disease. Combining these discovery platforms with state-of-the art chemical genetics allows the identification of compounds with high therapeutic potential as well as insight into their mechanisms of action. 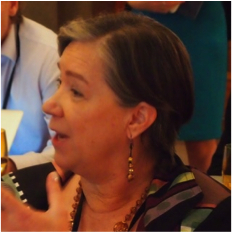 Susan Lindquist is a Member and former Director of the Whitehead Institute. She is a member of the National Academy of Sciences, the American Academy of Arts and Science, the American Philosophical Society, and the Institute of Medicine. Her honors also include the E.B. Wilson Award, Dickson Prize in Medicine, the Otto-Warburg Prize, the Genetics Society of America Medal, the FASEB Excellence in Science Award, the Max Delbrück and the Mendel Medals. In 2009, she was the recipient of the National Medal of Science and in 2015 she was elected a Foreign Member of the Royal Society. Susan Lindquist is also a member of the Board of Directors of Johnson & Johnson, and a co-founder of FoldRx, a biotech company (recently acquired by Pfizer) that develops drug therapies for diseases of protein misfolding and amyloidosis. She became an Investigator of the Howard Hughes Medical Institute in 2006. She received her PhD in Biology from Harvard University.